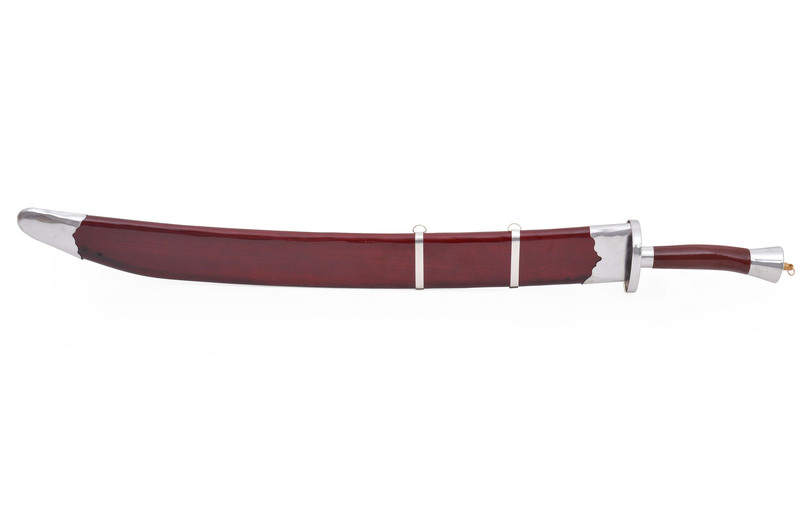 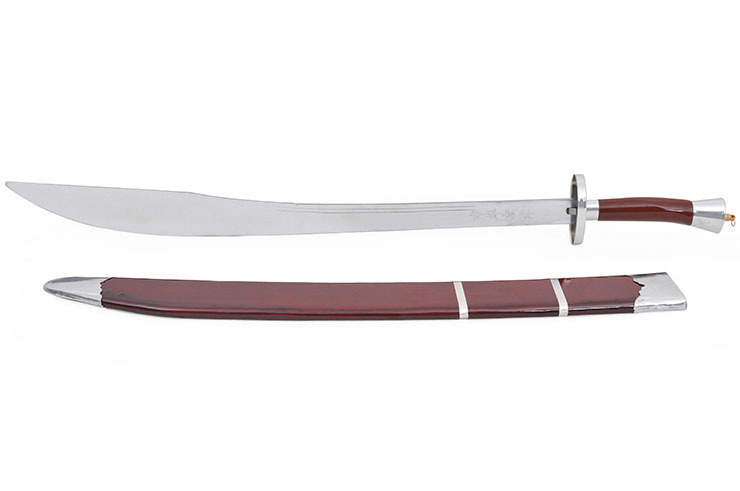 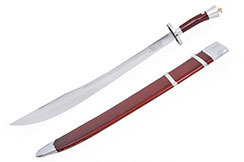 This broadsword is the best seller on chinese market because it remains at a decent price regarding its features : semi flexible chromed blade, painted scabbard, painted handled with chromed parts and ring to attach a scarf. 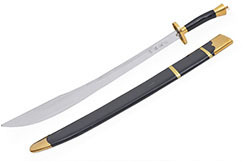 However scabbard may have little defects. 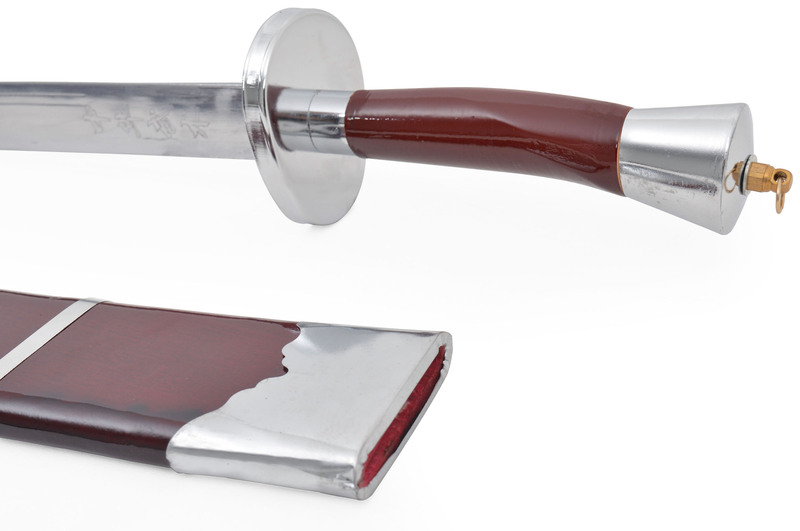 The scabbard is shipped out as a gift with this lower-range model, the scabbard is not necessarily adapted to the blade. 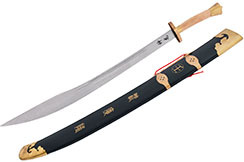 Hold tabs have been placed to help the scabbard hold in place. 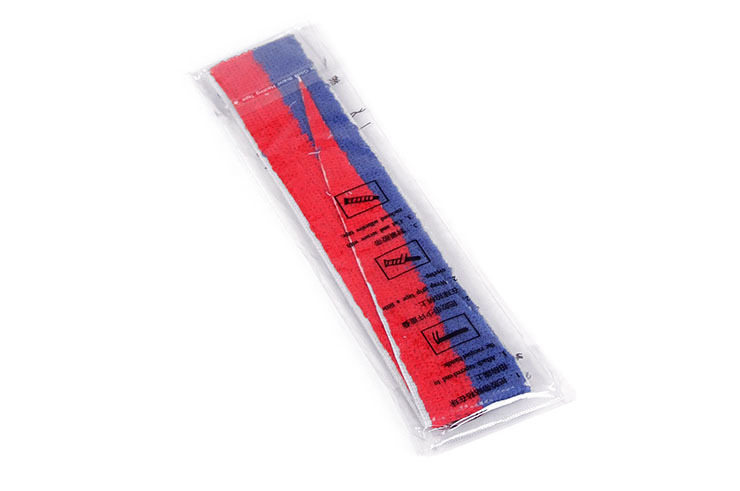 However it is an ephemeral fixation because these tabs tend to fall on the medium / short term. Dao broadsword, popping sound enhanced by its hollowed metal handle, perfect for modern training. 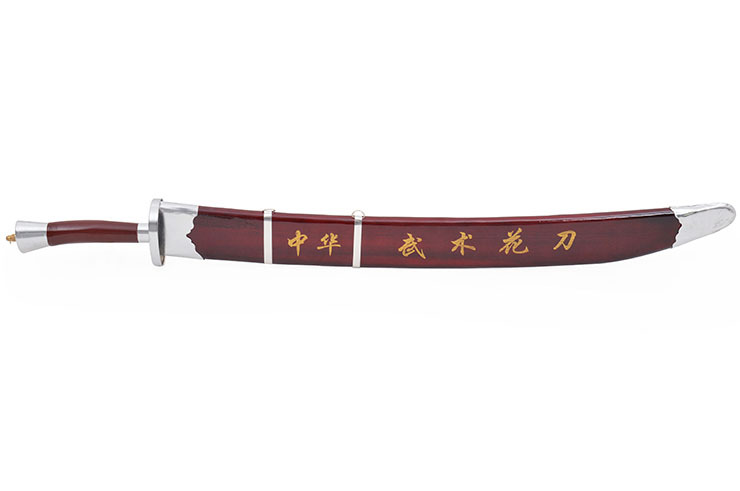 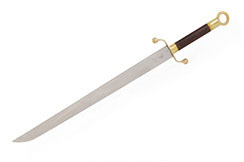 Kungfu broadsword suitable for "Dao Shu" practice (broadsword). 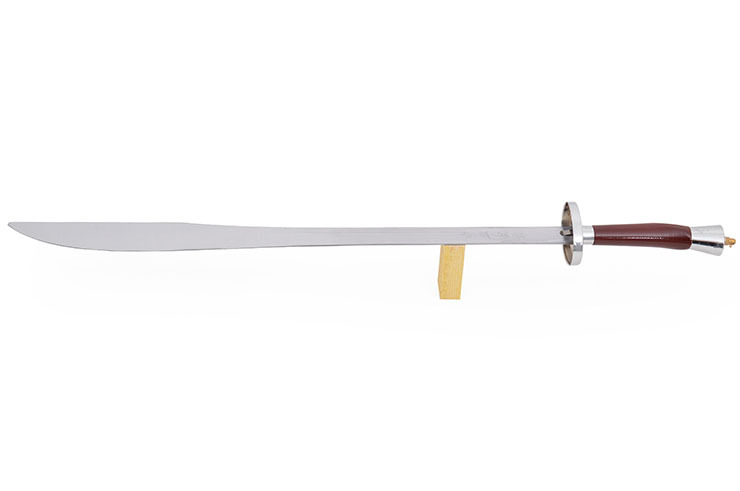 Light sword with flexible blade, two fullers and simple back of the blade (no reinforcement along the blade's back). 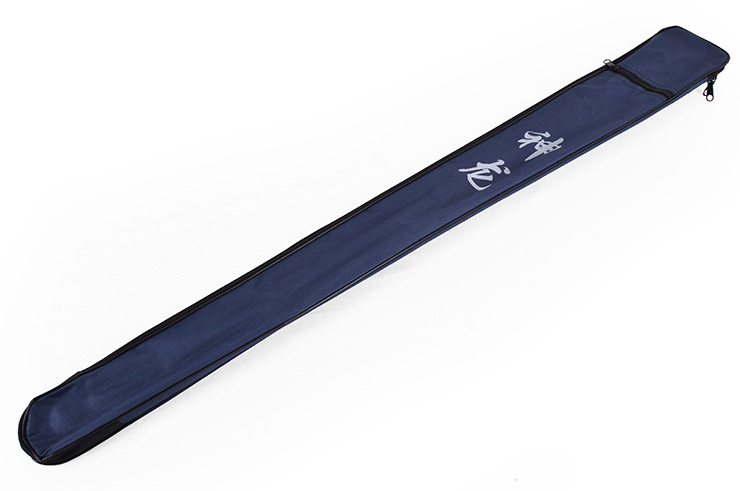 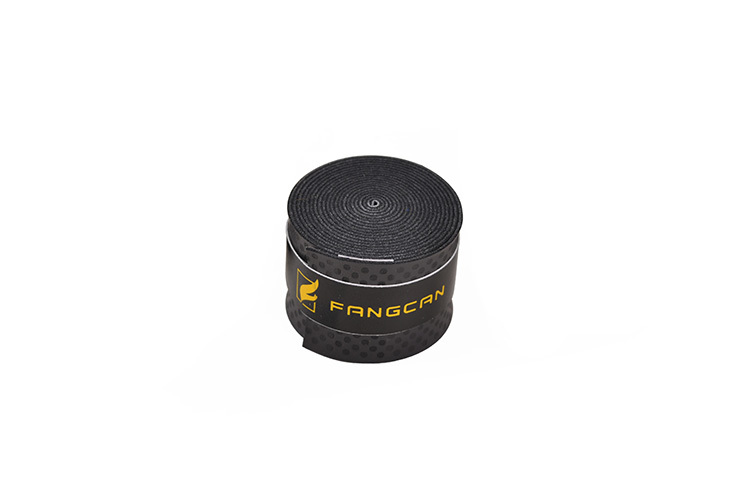 Semi rigid blade, brass band guard, specially designed for modern Nan Dao practice. Pear tree wood handle, blade made of stainless steel. 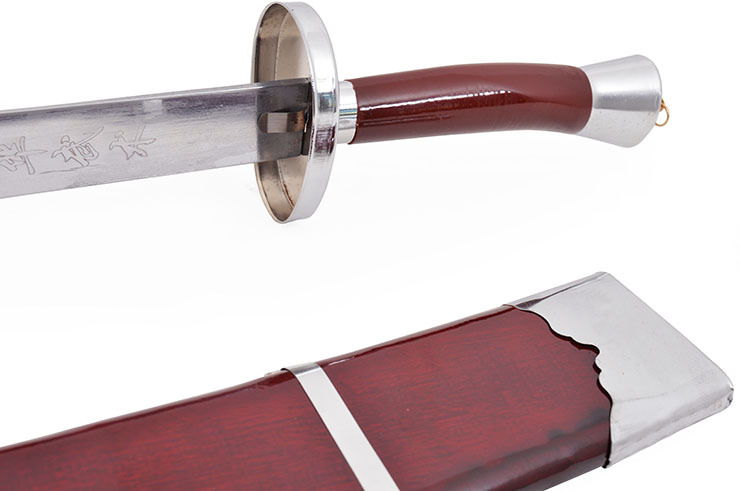 This weapon, made by a workshops at Longquan, is the official competition saber model certified both by the 'Chinese Wushu Association' and the 'International Wushu Federation'. 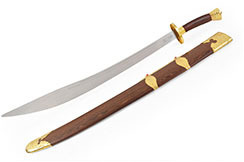 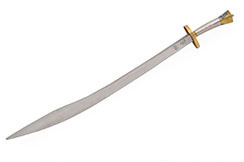 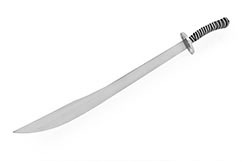 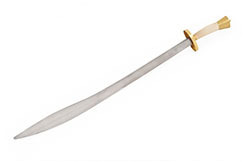 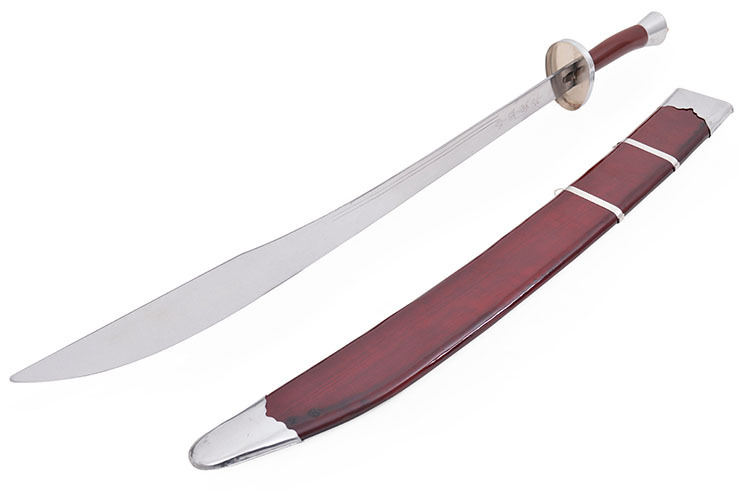 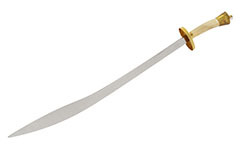 Traditional blade broadsword used in traditional Wushu practice. 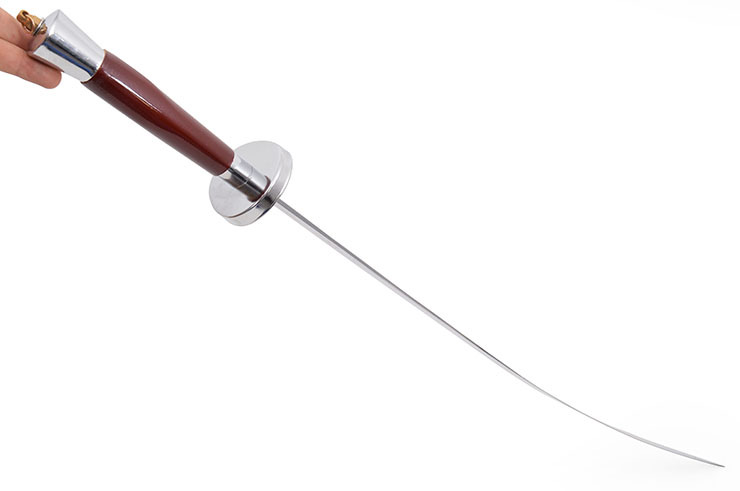 Stainless steel steel thin and semi flexible blade, a good and pleasant weapon with nice golden finish.